Capable enough to soothe your soul and body, here we bring a beautiful set of kurta and palazzo. The kurta is an epitome of elegance with floral hand block prints on it. It has side gathers, notch collars, and three-fourth sleeves. 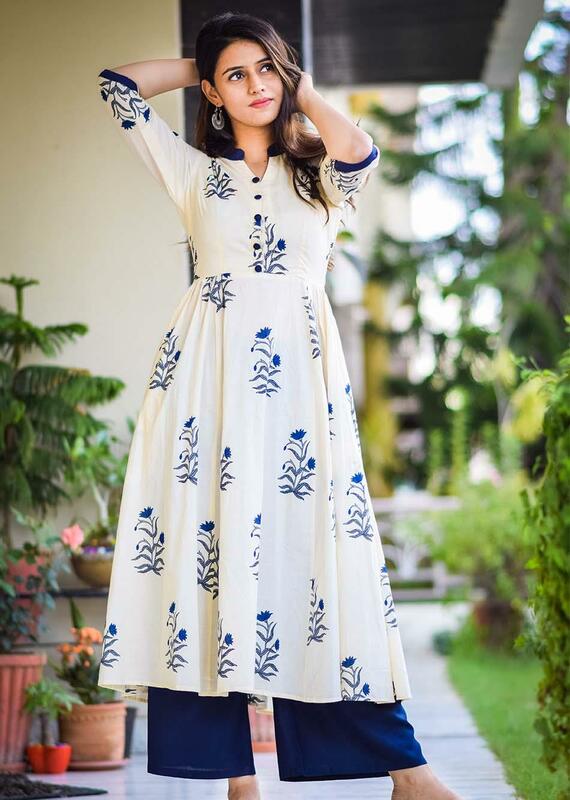 The combination of blue and off white is impressive while the fabric, cotton used to make it is very comfortable. 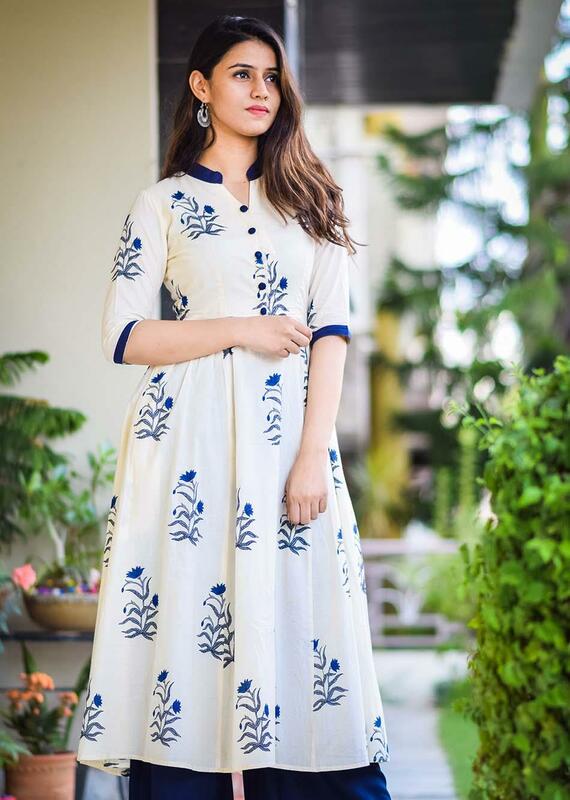 The highlights of blue colour on the sleeves, neck and in the form of potli buttons gives the required finishing touch.